In this substantive yet accessible book, pioneering software designer Alexander Stepanov and his colleague Daniel Rose illuminate the principles of generic programming and the mathematical concept of abstraction on which it is based, helping you write code that is both simpler and more powerful. If you’re a reasonably proficient programmer who can think logically, you have all the background you’ll need. Stepanov and Rose introduce the relevant abstract algebra and number theory with exceptional clarity. They carefully explain the problems mathematicians first needed to solve, and then show how these mathematical solutions translate to generic programming and the creation of more effective and elegant code. To demonstrate the crucial role these mathematical principles play in many modern applications, the authors show how to use these results and generalized algorithms to implement a real-world public-key cryptosystem. 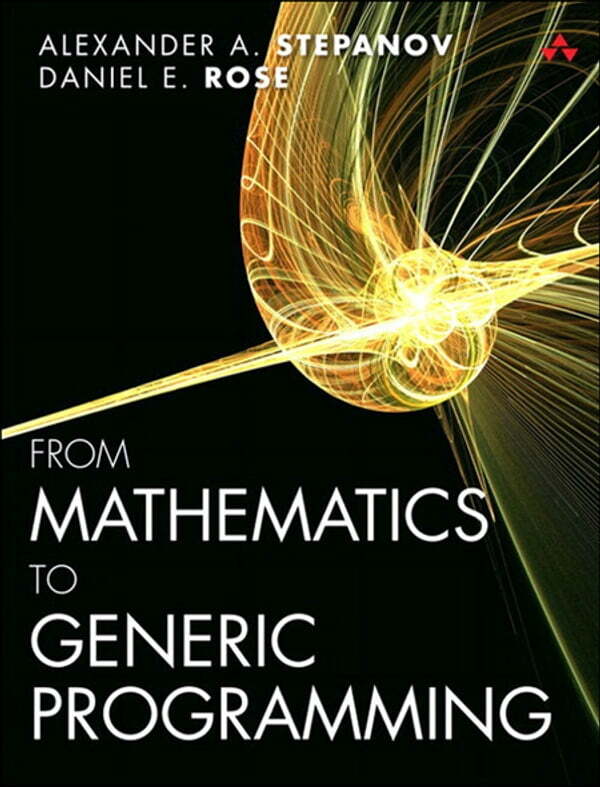 As you read this book, you’ll master the thought processes necessary for effective programming and learn how to generalize narrowly conceived algorithms to widen their usefulness without losing efficiency. You’ll also gain deep insight into the value of mathematics to programming—insight that will prove invaluable no matter what programming languages and paradigms you use.